Dr. Cathleen Shultz, dean of the Carr College of Nursing at Harding University, today announced her decision to step down from the position June 1. After concluding her administrative duties, Shultz will begin a yearlong sabbatical in June to engage in scholarly writing. She will remain a full-time professor of nursing. Shultz has been a member of the Harding faculty since 1976. In 1977 she was named chairperson of the department of nursing, and then in 1980 she became the founding dean of Carr College of Nursing. “Cathie Shultz has devoted almost her entire professional career to the development and growth of Harding’s baccalaureate nursing program,” said President Bruce McLarty. “She has been there since the early days of the program. Directing this dynamic professional program for 37 years is a milestone in the world of higher education. Shultz was the first Arkansan elected to the national board of governors of the National League for Nursing (NLN) and the only Arkansan to serve as president of the organization. Under Shultz’s leadership, Carr College of Nursing was the first nursing program in Arkansas to use computers as a part of learning, introduce primary care in the curriculum, provide health services for Head Start and HIPPY programs, initiate health screening clinics in public schools, provide health information and services for the elderly, and incorporate health missions into the curriculum. “Dean Shultz is leaving behind a remarkable legacy of developing and leading a highly successful academic program,” said Provost Larry Long. “She has an outstanding record of accomplishments on our campus, in the nursing community in Arkansas and across the nation. “Her service as president of the NLN from 2009 to 2011 is truly a unique honor for a faculty member from a small, private university. Her successes have positioned our program to move forward to a very bright future. Shultz was appointed by Governors Bill Clinton and Mike Beebe to serve on the Arkansas State Board of Nursing. She is currently serving her fourth term on the governing body. She was elected to serve as president of the board from 1991-92. She is currently chair of the board’s education committee. 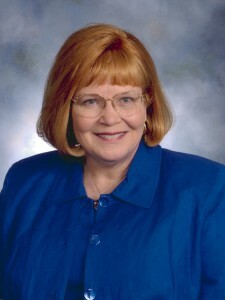 Her many honors include twice being named Distinguished Teacher at Harding, selected as Outstanding Alumna from the University of South Carolina College of Nursing, honored with the 2010 Distinguished Service Award from the Arkansas Nurses’ Association, recognized with her induction in 1992 as a Fellow of the American Academy of Nursing, chosen in 2009 as a Fellow of the Arkansas Gerontological Society, and named in 2012 as a Fellow of the Academy of Nurse Educators. Her community and gerontology nursing expertise received numerous recognitions including the 2008 American Association of Colleges of Nursing Outstanding Award for Innovation in Baccalaureate Geriatric Nursing Education from the Hartford Foundation. Nursing students from her gerontology course received the 2010 Arkansas Gerontological Society Most Innovative Volunteer Group Award. In her career thus far her list of publications include three books, contributions to 28 books, and author/co-author of more than 60 journal articles. Shultz’s professional memberships include the American Nurses’ Association; the Arkansas Nurses’ Association; the NLN; and Sigma Theta Tau, the international honor society for nurses. She is a past president of the Arkansas Nurses’ Association and a past secretary of Sigma Theta Tau. She is a graduate of the University of South Carolina (B.S.N. ), Emory University (M.N.) and Vanderbilt University (Ph.D.).